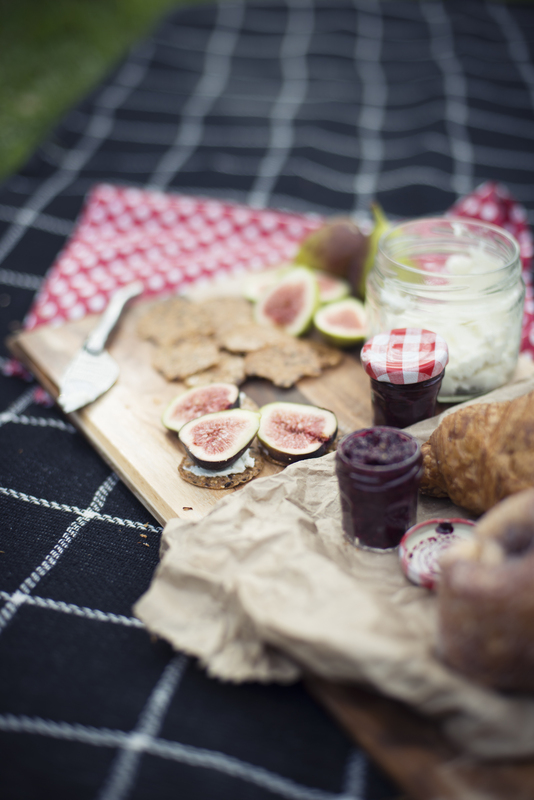 There are no rules that say you have to picnic on a Sunday. So, last weekend, instead of doing boring Saturday stuff (like ironing clothes for the week), we decided to kick-start the blog instead. So, are you packed? Yes? Let’s go! 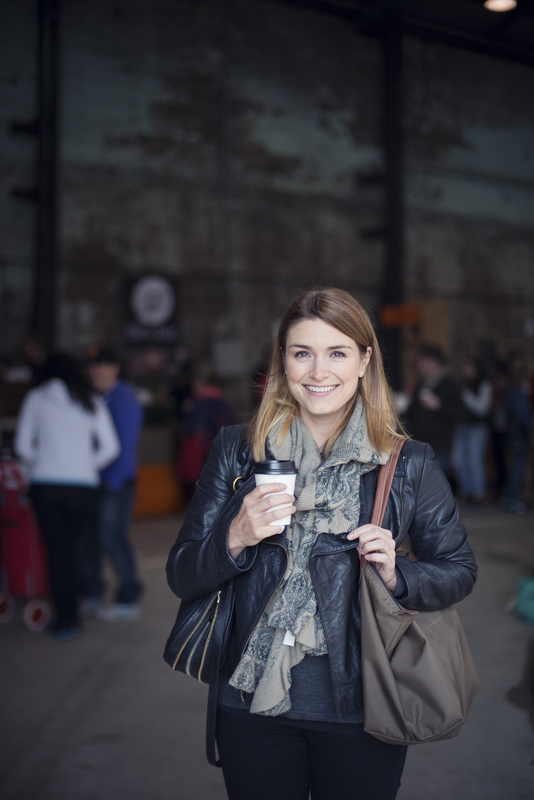 Eveleigh Market comes alive every Saturday between 8am and 1pm. 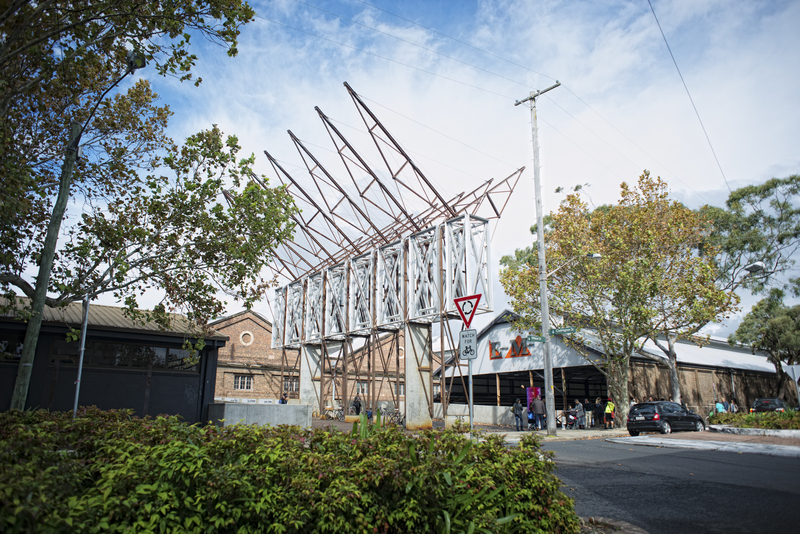 Market stalls are set up in an old heritage listed railway workshop known as the Blacksmith’s Workshop (adjacent to Carriageworks) in Eveleigh, a tiny suburb near Redfern. I need to make a confession upfront, as it is likely to be something you see in this blog a lot. I have a thing for old walls. It’s weird. I know it. Mark knows it. But I can’t help it! The more flaky, decrepit, crumbled, or worn out the wall looks, the more I love it. Eveleigh Market has great walls. Apart from that, you can find all kinds of local fresh produce here. There’s everything from gourmet meats (organic grass-fed lamb anyone? 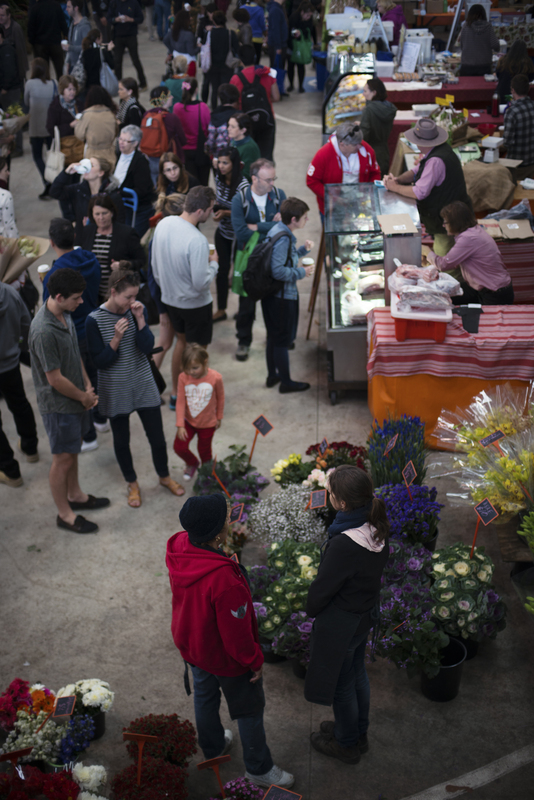 ), handmade pasta, free-range eggs, artisan cheese, smoked fish, delicious baked goods, boutique wines and vibrant flowers. And of course, a great range of organic fruits and vegetables. Multi-tasking Saturday grocery shopping with our brunch picnic date. See, efficient! 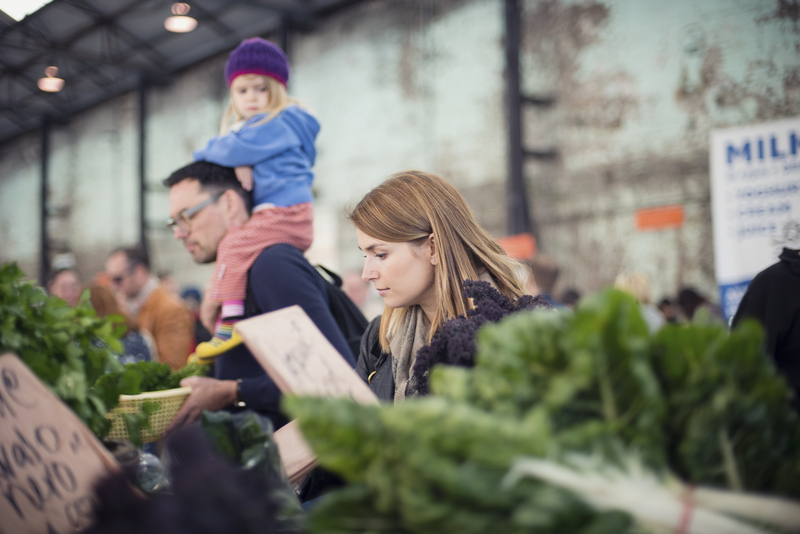 Yes, it’s not exactly cheaper than Coles or Woolies for your fruit and veg, but you do get a chance to chat to the owners and find out where your produce is coming from. 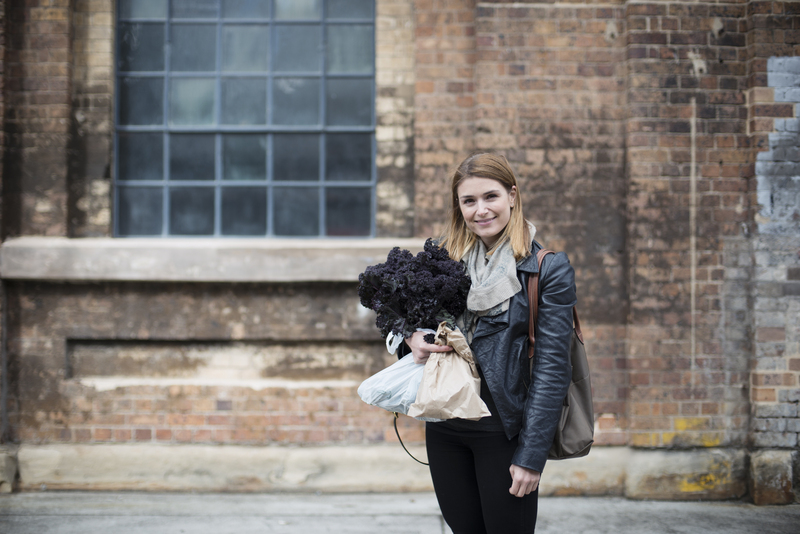 And for some things, like the massive bunch of organic purple kale we got, its freshness can’t be beaten. If you normally save your grocery shopping for Saturday, then this is the perfect opportunity to multi-task. The bonus is that most of the stallholders offer free samples so you can see what takes your fancy. And, you can do it all with a coffee in hand! It’s a good idea to bring a spare bag for your goodies! So for our picnic brunch menu, we tried amazing goats curd from a stall called Willowbrae Chevre Cheese and decided this had to feature. We paired that with some delicious fresh figs from G & M Putrino, which we were informed may be the last of the season, and which would go perfectly with the goats curd and our pre-packed crackers. 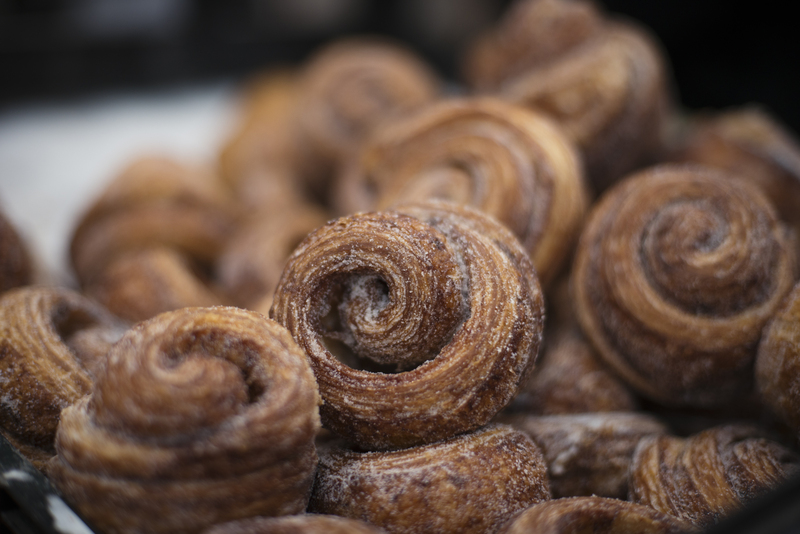 And because of the way those damn cinnamon scrolls were deliciously stacked at the Sonoma stand – I swear if you stood close enough you could hear them whisper “Eat me! Eat me!” – we picked up a croissant and a cinnamon scroll to round it out. 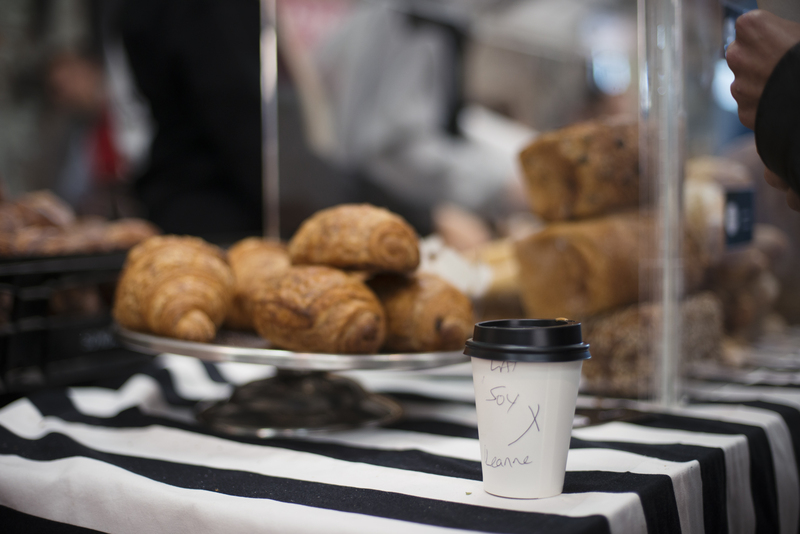 Sonoma croissants – the best in Sydney! 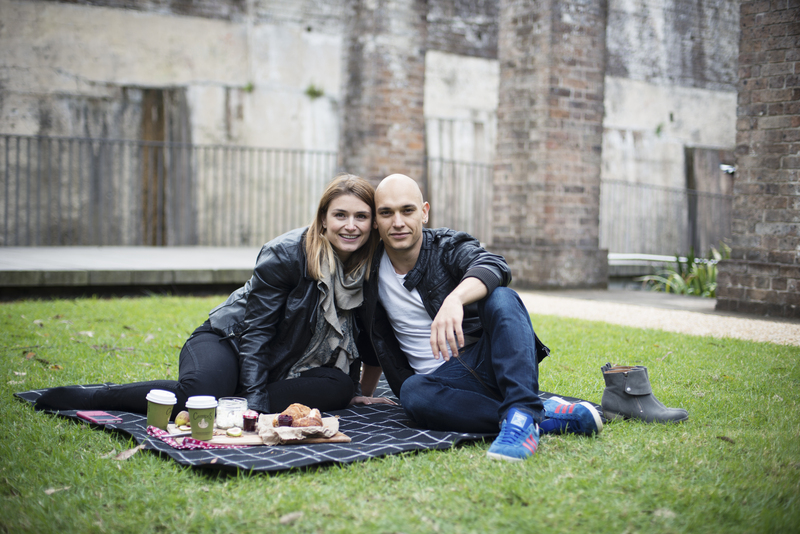 As you can see, deciding on our picnic menu was an unplanned but very inspired process. 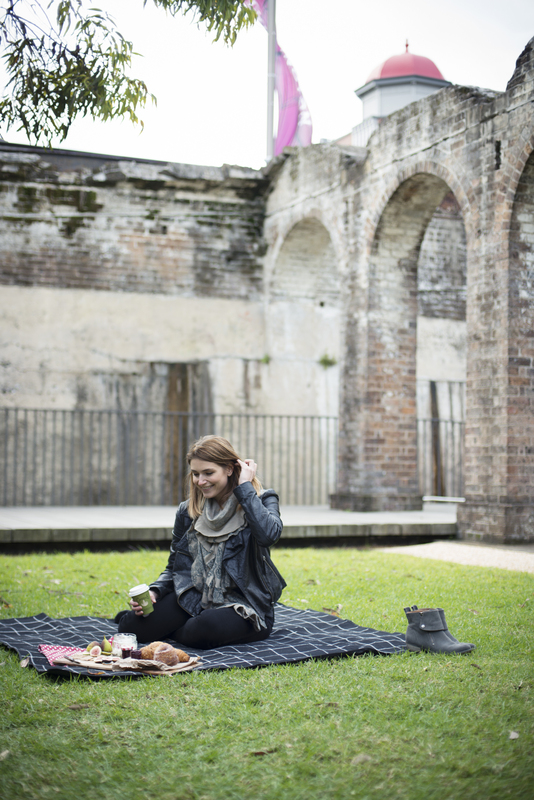 If you make the Eveleigh Market your picnic produce stop, then we simply encourage you to go in hungry and see what you feel like on the day! Mark chose kale over flowers. What a romantic! → Bring cash to save time lining up for it. 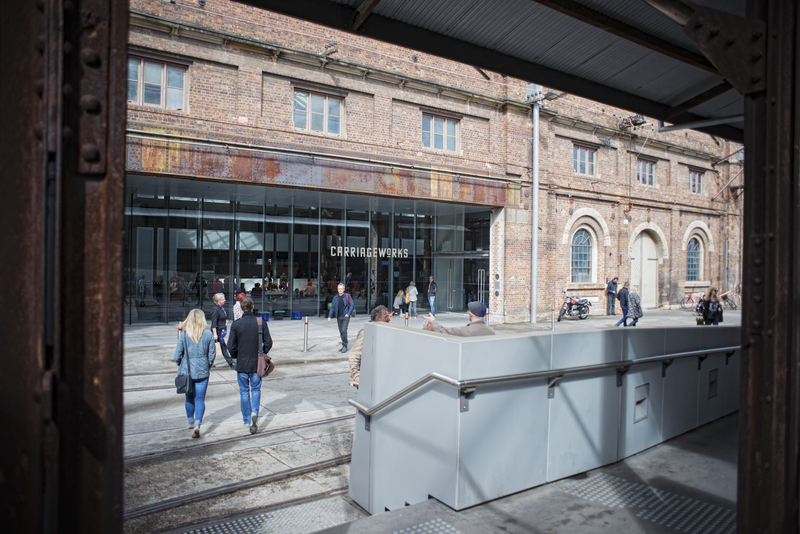 There is an ATM in Carriageworks across the Markets if you need more. → Bring a spare bag for your produce, or if you have it, a ‘granny trolley’ (there’s probably a proper name for this). Never fear, there is a stall selling these in cute prints if you decide you need one. 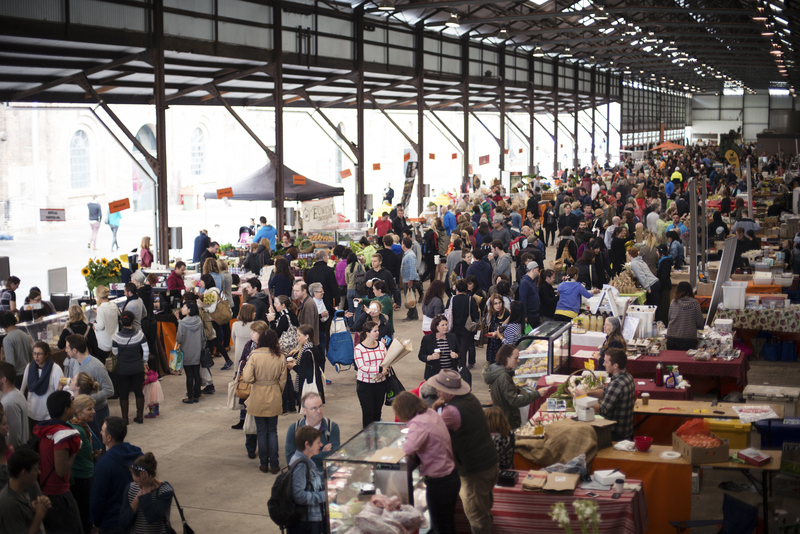 → Chat to the growers about what’s in season and what to do with your produce. For example, I didn’t know that you could use beetroot leaves instead of kale in salad or that you could freeze goats curd and defrost as needed to make it last longer. It makes for less waste and a good learning experience. → Get up early and enjoy breakfast there. 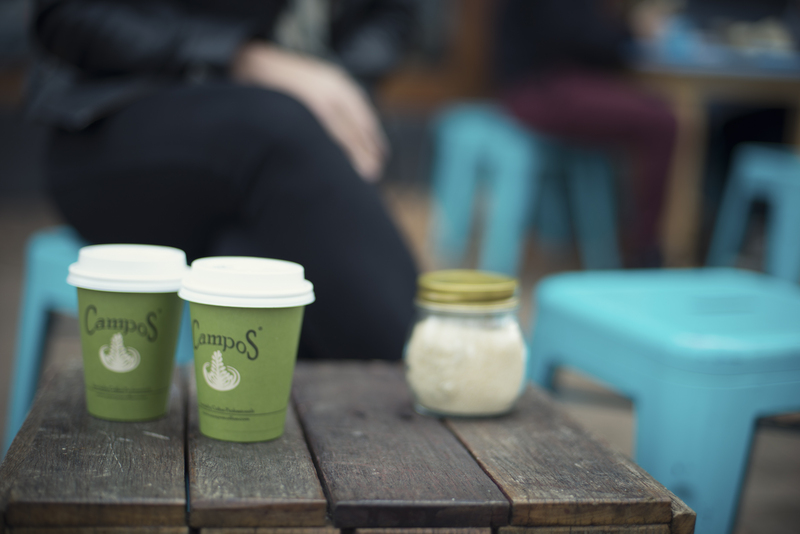 There is great coffee to get you started (and for while you’re looking around) and the guys at Bird Cow Fish do unbelievably good lookin’ bacon and egg sandwiches with melted cheese (which Mark already knows we need to come back for). → If you head over later or are peckish for a light lunch instead, check out the very popular Billy Kwong stall which serves up pork dumplings and egg pancakes. Kylie Kwong is often spotted there behind the steamers and by the way those people stand around devouring those pork buns, you just know it’s good. → Keep an eye on the prices or just ask if you’re unsure. For example, I got said massive bunch of organic purple kale plus a large head of organic broccoli for $7 which I thought wasn’t too bad as it most likely will last us the week. A small bag of organic green beans at another stall was $5 so perhaps less of a bargain. 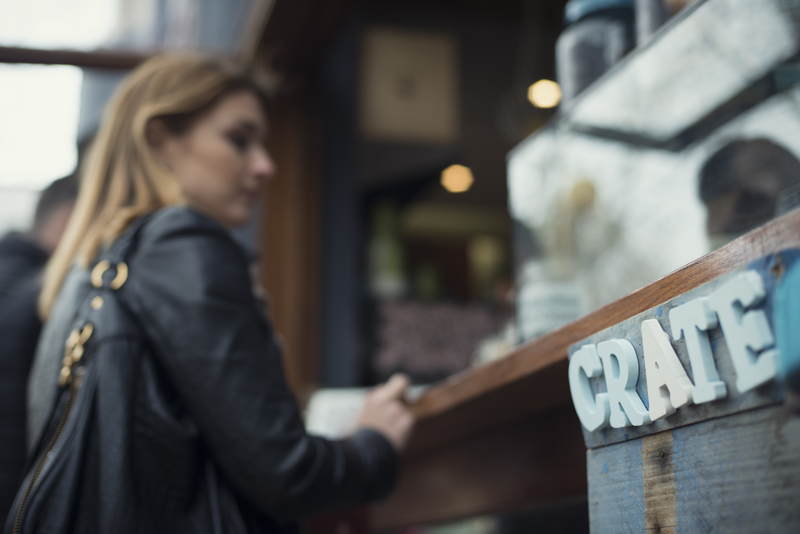 → And most importantly, try stuff you haven’t tried before if a tasting is on offer. 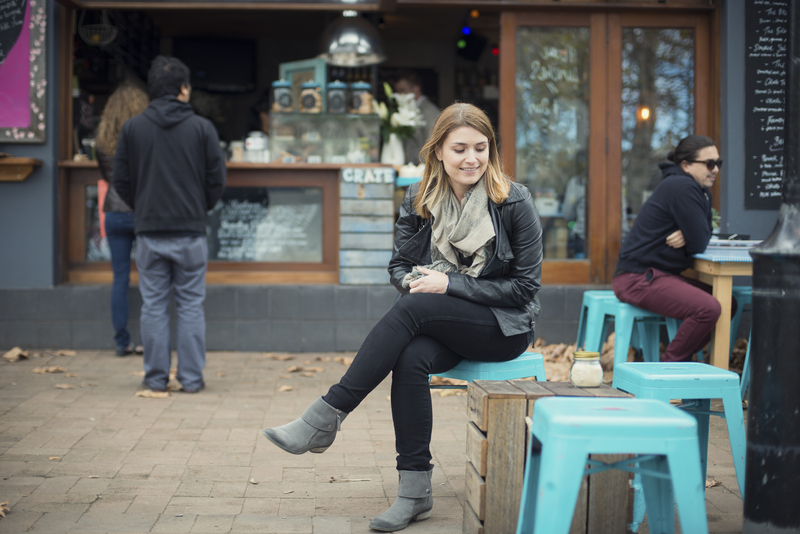 Train: It’s about a 7-minute walk from Redfern train station. Bike: If you’re local and have a bicycle with a basket (seems mandatory here), then you can park it in the bike rack out front. Car: If like us, you’ve taken the car, there is street parking which is free for a certain period, but you may need to (kindly) stalk someone for it. 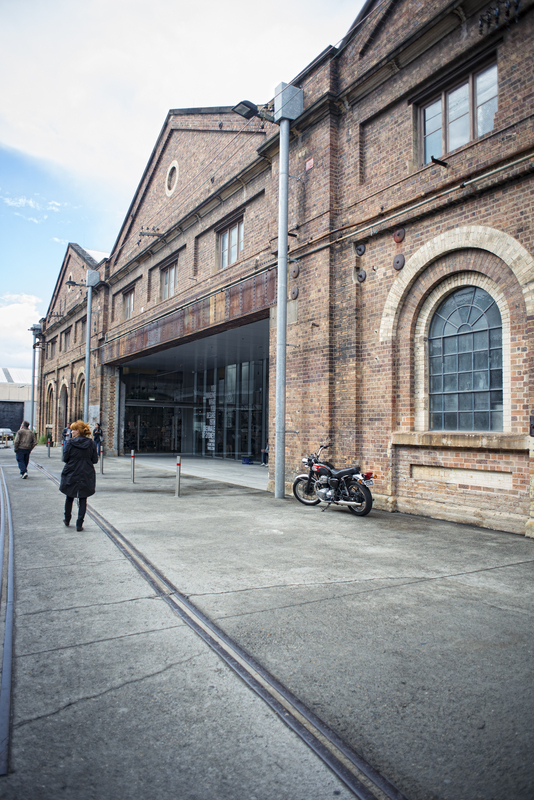 Apparently, you can also park at Australian Technology Park and take a free shuttle service to Eveleigh from 8.15am to 12.30pm from Bay 8. 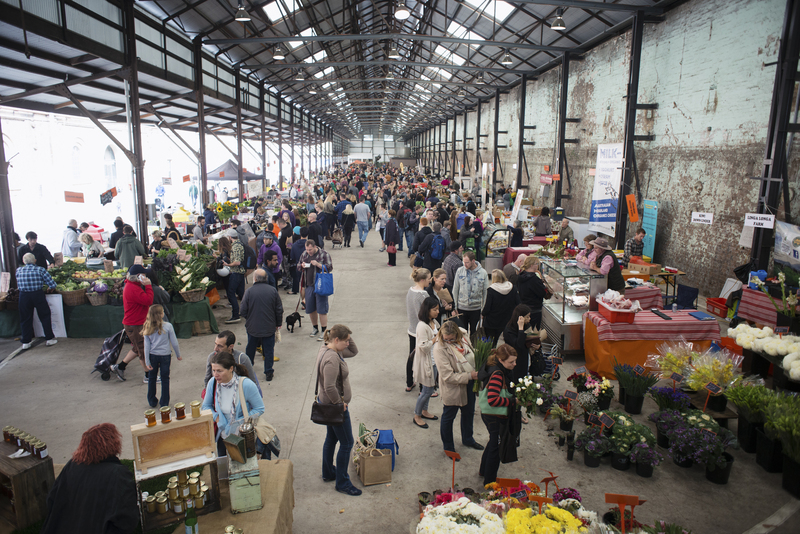 See the Eveleigh Market website for more details. 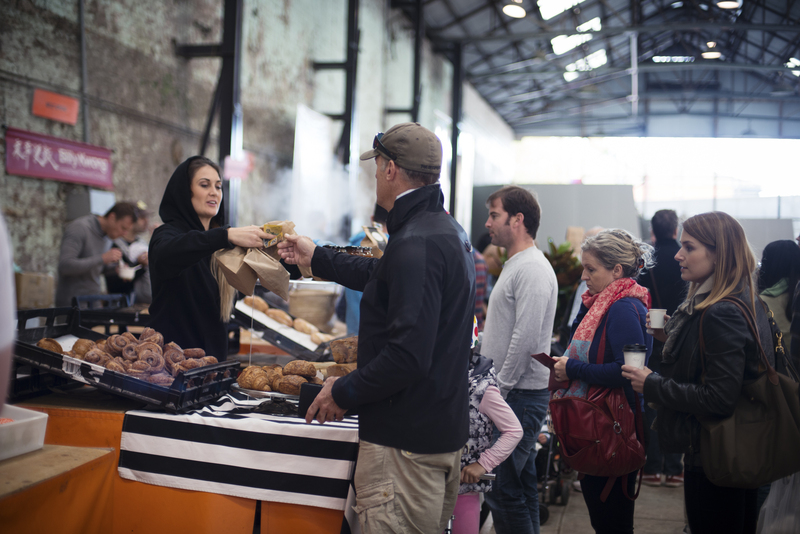 On Saturdays, the Paddington Markets are held next door from 10am, so if you’re not in a rush, you might want to check that out too. 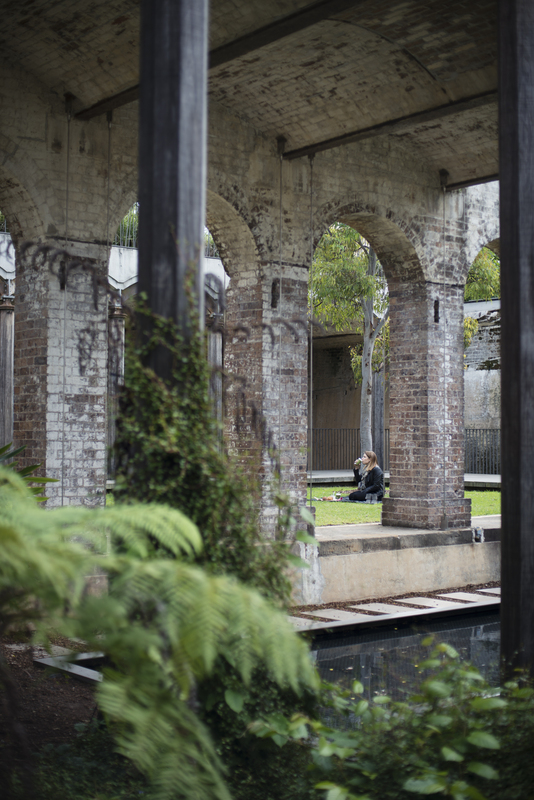 So maybe you’ve spent the day shopping on Oxford Street in Paddington and walked right past it, but in between Country Road and the Paddington Chauvel Cinema is a beautifully landscaped underground garden known as Paddington Reservoir. If you have read “About Us”, you’d have found out that this place kicked off the blog and is also affectionately termed “Ritual” (as in, “Shall we do Ritual today?”). 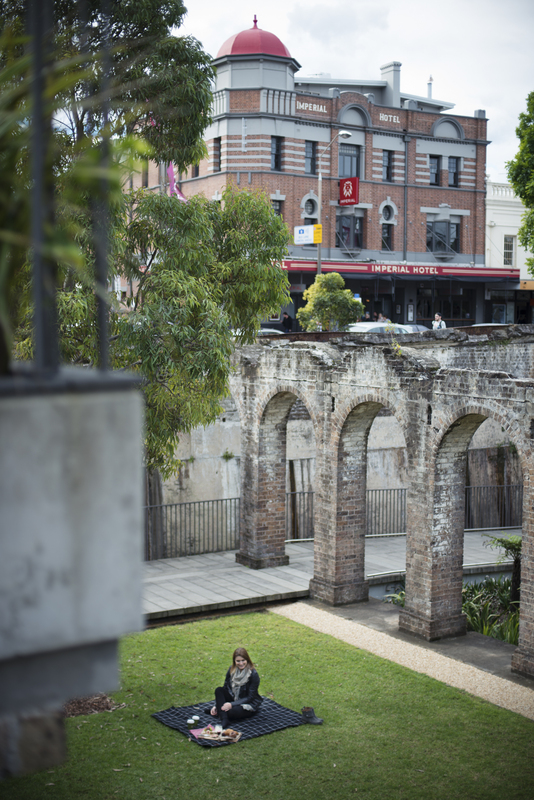 In its former life (and as its name hints), it used to be a vital source of water to Sydney up until 1899. The water was emptied and the site was then repurposed a couple of times including as a garage and petrol station which was later abandoned. It opened again in 2009 after having been restored and re-imagined in a new way. 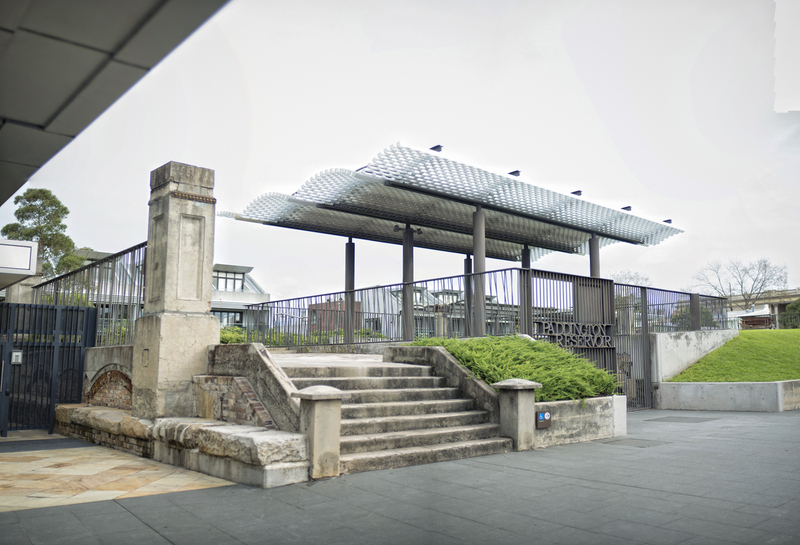 There are two levels – the upper street level has a lawn with permanent concrete seating and which has displays showing the history of the site. 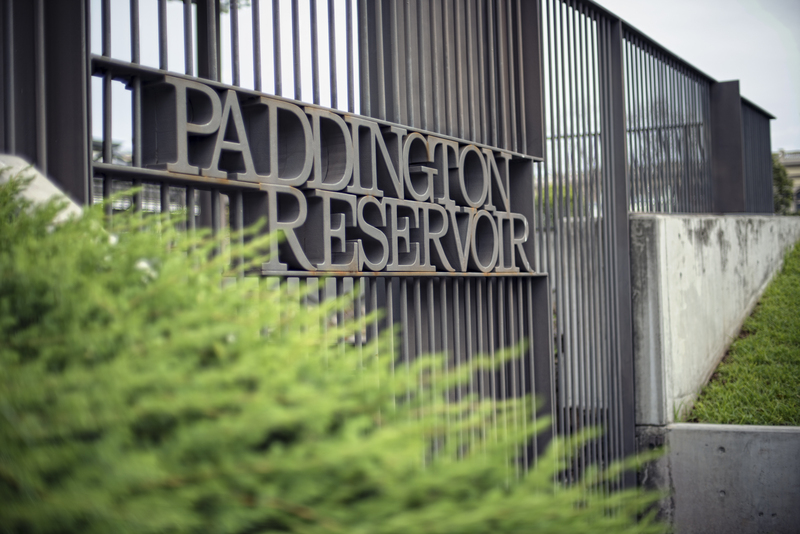 But, for a picnic, we suggest heading down to the lower level to relax in the garden, away from the hustle and bustle of Oxford Street. The lower level has various chambers with beautiful Romanesque brick archways, a hanging garden canopy around a pool in the centre. 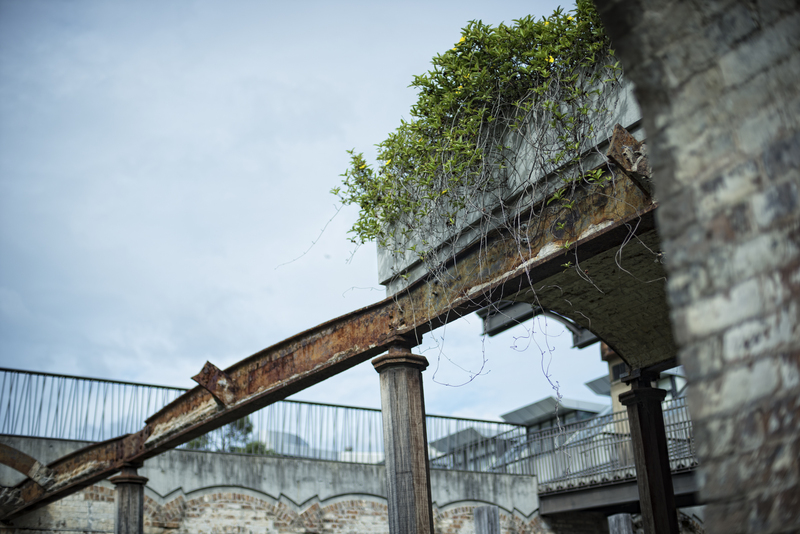 I would describe it as Sydney’s answer to the High Line in New York – not as big obviously – but with a similar concept of lovingly transforming an industrial, abandoned space into an urban oasis. Photographers love this space as there are many architectural features that give off great light and shadows, so you’ll often see some sort of photo shoot taking place here. One of the chambers is used for various art installations and community events but is not always open to the public. You can still take a peek in though. There is a great feeling of calm and it is surprisingly quiet, given the main street is just above. 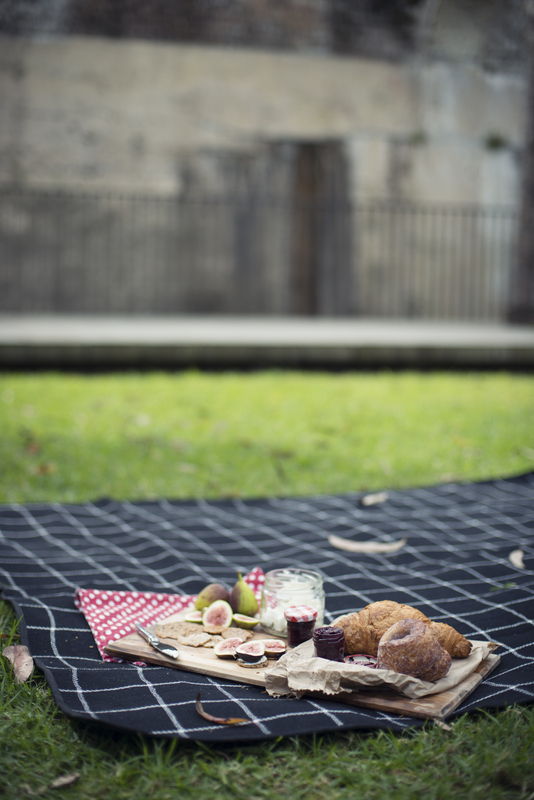 You don’t have to just come for a picnic – it’s also a wonderful place to rest your legs (and credit card) if you’ve spent the day shopping on Oxford Street, or to simply take some time out with a book. It really is a hidden gem. To read & sit: There are FREE library books to read and FREE gorgeous striped deck chairs to sit on while you are there. There are newsagents for more reading materials nearby. Toilets: There are no public toilets in the Reservoir but nearby are some pubs. If you’re cheeky like us, there is the Australian Centre for Photography on Oxford Street (walk past the Country Road side) which may have a bathroom with Aesop hand-wash BUT if you visit them it is only fair that you also check out the amazing photography as well. Kids: The Reservoir is a great option for little kids as they can run about in the underground section and play hide and seek without you having to worry about them running onto the road. 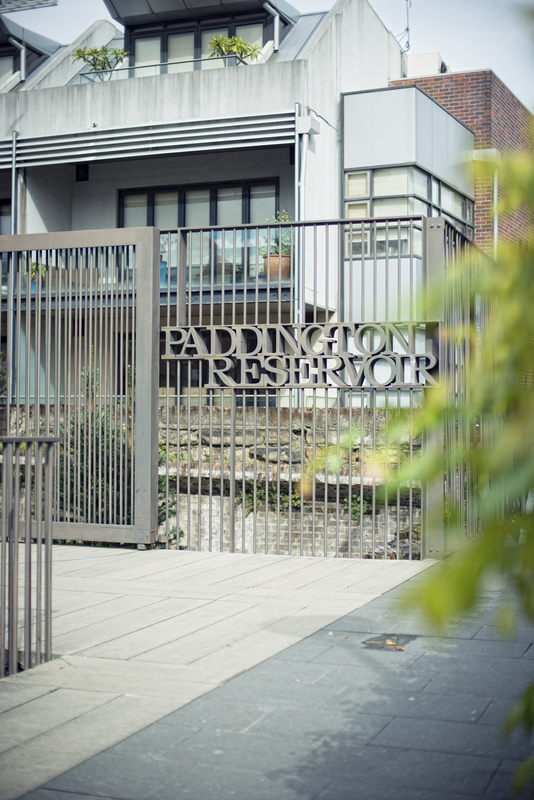 Located on the corner of Oxford Street and Oatley Road, Paddington. 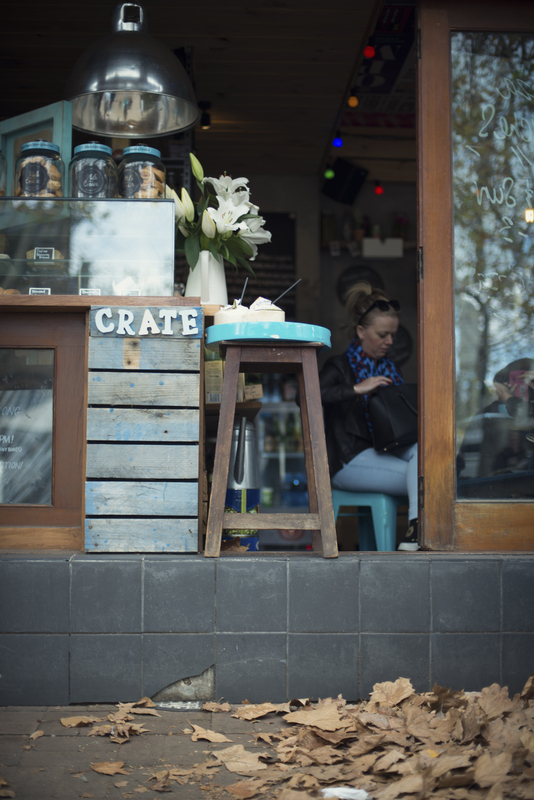 In between Country Road and the Chauvel Cinema, and across from the Imperial Hotel pub. Bus: Bus routes 378, 382 and 380 stop nearby. Bike: Of course you can ride your bicycle there too. There is wheelchair and pram access to the lower level as well. We had a car with us so we were happy to drive between destinations. 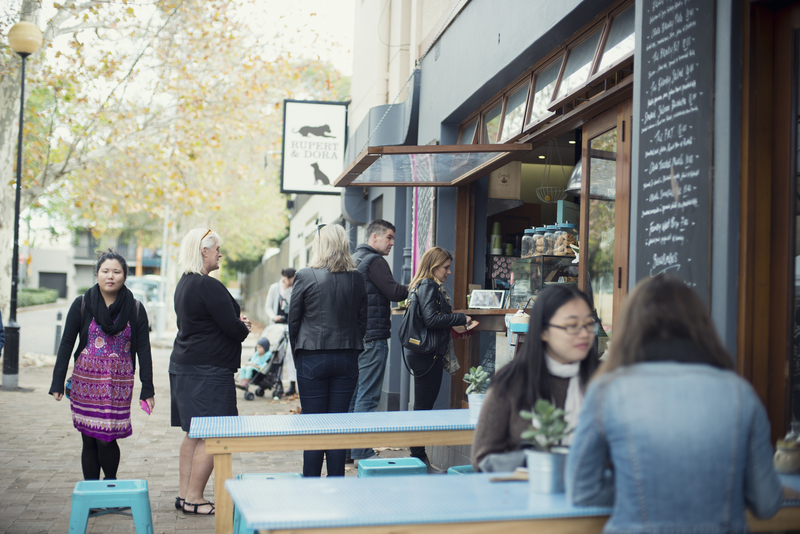 If you don’t feel like travelling between Redfern and Paddington (about a 10 minute drive, but longer by public transport) you may want to mix and match this itinerary. 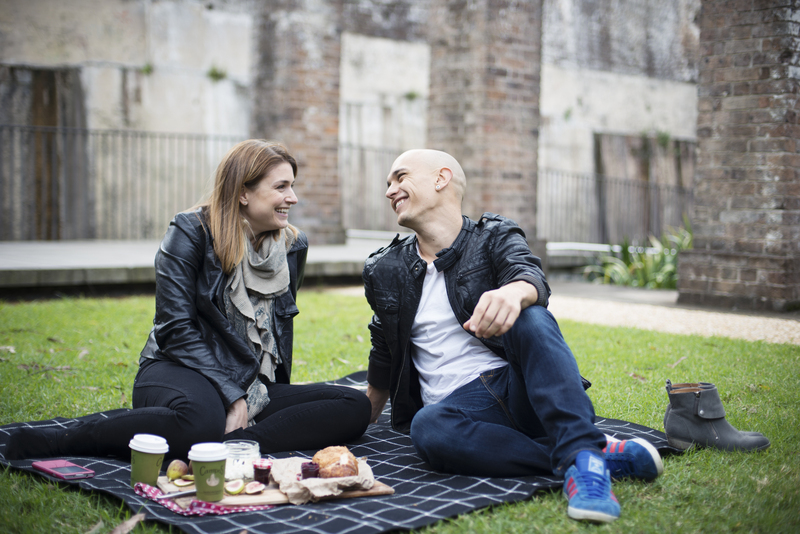 For example, if the Eveleigh Market takes your fancy, head there instead and find a more local park for your picnic, like Australian Technology Park (which we’ll write up in a later issue). 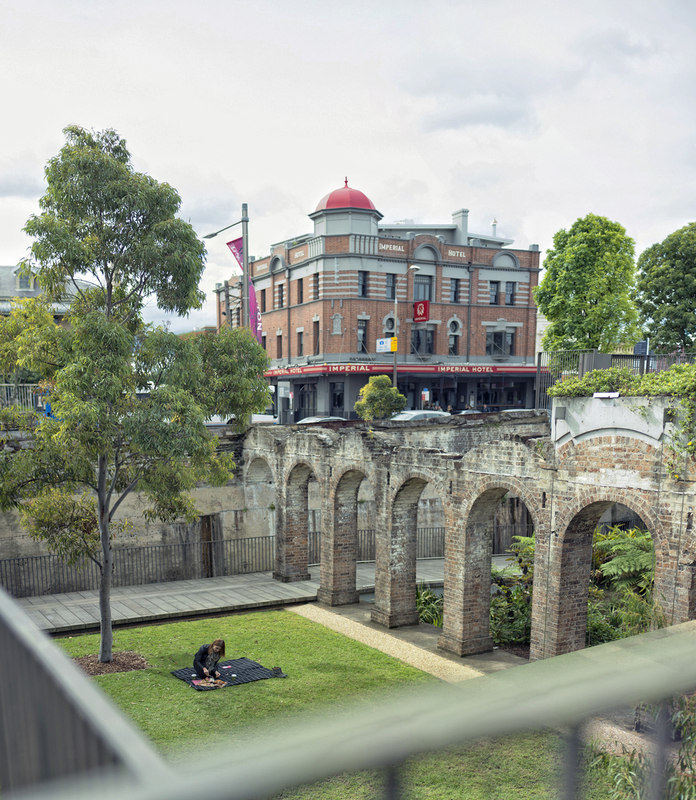 Or if you like the look of Paddington Reservoir Gardens, the coffee stop at Crate Bar & Pizza is walkable and you can pick up lunch / snacks there or along the way. It’s more enjoyable that way. P.S. If you like Mark’s photos, check out his professional page, Mark Jay Photography and on Facebook, for more!